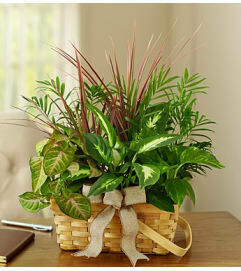 If you can't take them somewhere tropical this year, bring a little bit of island beauty to them. 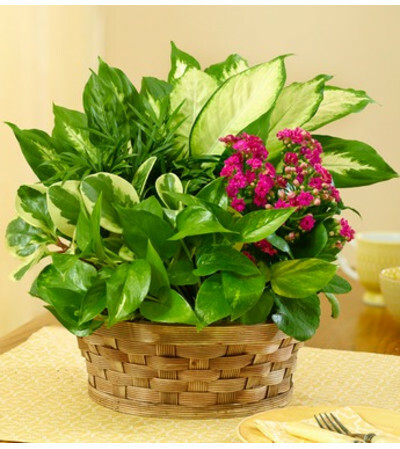 Our best-selling dish garden features a bright, exotic kalanchoe surrounded by a mix of vibrant greens and tucked into a charming woven basket, perfect for sending as a token of your lasting affection. 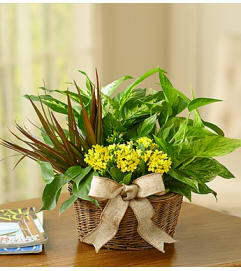 That's what the kalanchoe symbolizes, after all.